Alas, a Belgian beer, the Chimay Red or Rouge as the Belgians call it. The ale starts of dark and meanders it way to a light floral finish, as the Belgians tend to do. The aftertaste is sweet, approaching a dry bitterness. The beer does have a 7% ABV, which it needs to offset the floral flavors that suggest more of a wine spritzer. All in all, the Chimay Rouge is decent for a Belgian and gets a 3.0. So I was out at a local Irish pub the other day, and it being fall in Massachusetts, decided to partake of a Sam Adams Octoberfest. Now, Sam October is a great beer, definitely a 4.5 in my opinion, so I was shocked when I took my sip from my draught and well, worst beer ever. It didn't have the smoothness or the caramel tones that I know and love in a Sam October. It tasted horribly. It just goes to show that you never know what you are getting when a beer comes out of a tap or out of a bottle. The Old Gollywobbler Brown Ale is another beer from Sea Dog where I wished they stepped it up a few more notches maltwise. 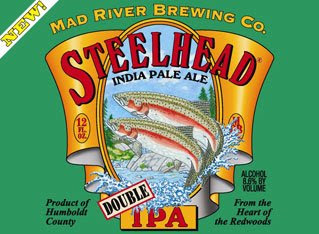 I think this and Sea Dog's IPA would be fantastic with just a tad stronger flavor. The beers come off terribly weak and flat. The Gollywobbler has a light brown caramel, honeyish flavor that needs some enhancements, but the roots are there. Maybe a step up beyond the 4.0% ABV would help too. Like it's sister IPA, this beer leaves you wanting, wanting flavor, wanting hops, wanting ABV, but unfotunately not wanting more Sea Dog. The Gollywobbler gets a 2.5. 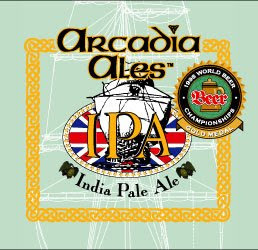 The Old East India Pale Ale is not your traditional IPA. 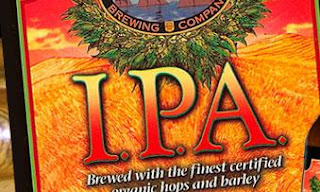 If hops make an appearance in this beer, it is a brief one which my faithful readers know is a no-no in my beloved IPAs. There is a great caramel malt flavor hiding behind this beer, but they need to turn this malt flavor up a few notches as the lightness suggests a flat taste. The 6.2% ABV was one of the only things not disappointing me in this beer experience. The other? The Sea Dog Brewery had Big Buck Hunter Safari in its restaurant. 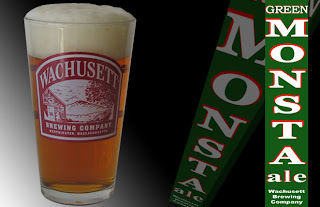 The Old East IPA gets a 2.5. Add a few hops and a few more grains and this has 3.5/4.0 potential. The Skull Splitter shows just how close some beers teeter on the edge from an American Strong Ale or Double IPA to a barley wine. This beer definitely follows suit with a Dogfish Head 90 Minute Ale as they are decidedly similar beers. Both of them have strong citrus floral presence that is enhanced by an alcohol bite. The Skull Splitter is more elixir than liquid and explores all of your taste bud senses. 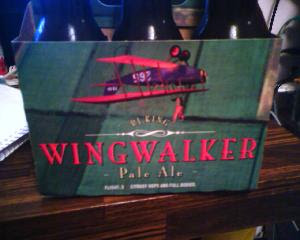 The 8.5% ABV is also intimidating, so the weak of heart should leave this one be. The Skull Splitter takes a 4.5. This beer doesn't exist, or that's what the Internet wants you to think, but I had the Tremont Ale Mr. Oktoberfest and it was good, real good. So what's with the lack of web coverage? 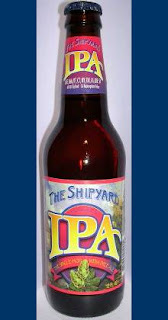 It seems Tremont Ale was bought by Shipyard Brewing Co. and they have decided to produce this beer without marketing it. The Mr. Oktoberfest is a great brown ale. 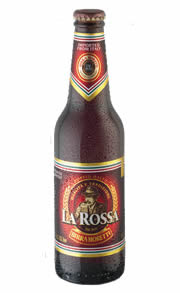 It is smooth and it has slight fruity hints. It definitely compares with Sam Octoberfest. 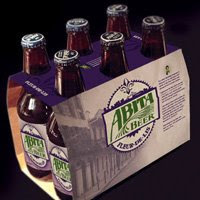 This beer gets a 4.5 and I will be sending my liquor store buddies off in a search for this beer. The Black Dog Ale is another one of these beers from "Parts Unknown", it seems they used to be based out of Maryland and now may be located in Montana. And I found it in Maine. This dog knows how to travel. The Black Dog is a smooth brownish ale with a good light taste. The hops are very unassuming, a trait you will find in most English Pale Ales. The beer is definitely refreshing and will not dominate your palette, but linger so you know it's there. The 5.2% ABV is right in line with the crispness of the beer. The Black Dog gets a 3.5. I was able to knock back some great beers this weekend so the posts will definitely be flowing through the next few weeks as I catch up. I was at a College Football Tailgate this week, which caused me to think what are your favorite beer related activities/sports/games? I'd have to put Beirut, and GoldenTee up there for sure. And probably the old mainstay pool or billiards as some chaps call it. What about yours? Also there is a poll up on the right side of the page. Let me know what you think. Check out that face on the bottle, how can you honestly pass the Hobgoblin by without taking a second glance? The thing is, I couldn't. When looking for new beers to try, I definitely look for coolest bottle. Yes I am destined to impulse buy anything that is slightly interesting, especially if it's next to the register. 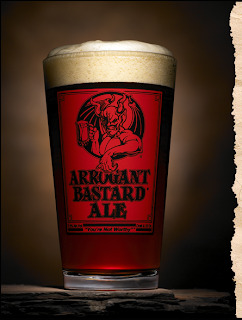 The Hobgoblin is on the lighter side of brown ales. While I often detract for this lightness in my reviews, I found that the Hobgoblin made up for it with a fruity/nuttish aftertaste that teased and appeased my palette. 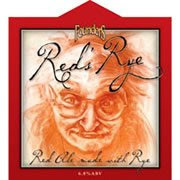 This beer definitely has flavor on it's side as well as a healthy 5.2% ABV. The Hobgoblin sneaks in at a 4.0. The Boathouse Brown Ale is your run of the mill standard brown ale. I think the boys at Sebago could add a little more chocolate malt to add a bit more oomph to this beer. Even the ABV is rudimentary clocking in at 4.8%. This isn't a beer you'd write home about, unless of course you have a blog where you write about beer. The Sebago gets the standard 3.0. I was up in Maine this past weekend and was able to visit a local brewery as well as try a bunch of different beers, when I get a chance I'll post these over the next few days. I was very high on a few of these so I want to get them out and posted as soon as I can, so keep an eye out the next few days. Good weekend for beers this weekend. 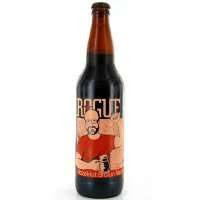 The restaurant I went to had a Rogue Ale beer night, so my posts this week will be very Rogue Ale centric. I find out Tuesday if I will be travelling this weekend, if so it means up to Maine for some Maine brews and possibly some Belgians as one of our hosts is a big Belgian beer guy. We also had dinner at a friend's house and found another pumpkin beer enthusiast. I didn't know there was such a thing, I blame El Nino for this epidemic. Another epidemic I saw this weekend, was bar salesmen. These are guys who come into bars and try to sell you things. Having lived in a sketchy area where this was a frequent occurrence, I thought this was only a local occurrence. I did not think this happened other places. Now I have been offered many things in bars, bicycles, dvds, meat, but this weekend the guy was selling tan suits. Amazing. Definitely an item I would have bought if cooler heads weren't around to stop me. I mean imagine the stories I could tell of the suit I bought in a bar, oh well. Enjoy the Rogues this week, I did and I had the headache to prove it. one year ago, you will have $49.00 today. ago, you will have $33.00 today. one year ago, you will have $0.00 today. gallons of alcohol a year. Avery Brewing Company, Ellie's Brown Ale Boulder, CO - A chocolate smokey brown. Similar to a porter. Lagunitas Brewing Co, Hop Stoopid, Petaluma, CA - very bitter and hoppy. Tuckerman Brewing Co., Tuckerman Pale Ale, Conway, NH - very light and fruity almost flat. Of course I had more than this, but I couldn't keep up with my in depth notes from above (yes it appears all the beers are "light". 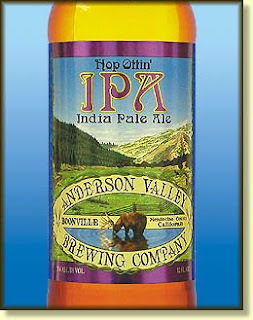 I did have to finish off the night with a Harpoon IPA to go out on a high after my second to last beer was terrible. I didn't walk away with a new favorite beer which isn't surprising after all I tasted 20+ beers and they eventually all mashed together. The Duck Rabbitt Craft Brewery received rave reviews from my friends. All in all a great event and worth attending next year. 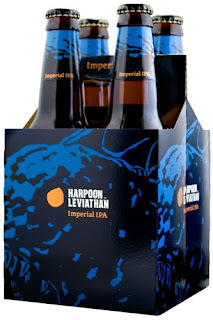 Harpoon IPA has long been a favorite of mine and I credit this beer as the beer that turned me on to IPAs in the first place. 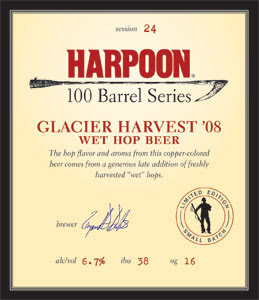 The Harpoon is decidedly strong, and you are cognizant of that fact from the first whiff of hops as you put the glass to your lips. The first sip brings an onslaught of Cascade hops, that eases into a tangy bitterness. The beer finishes with a surprising fruitiness. The IPA has 5.9% ABV, but if you've ever attended a Harpoonfest, your head thinks this might be understated the following morning. I rate the Harpoon IPA a 4.5. I checked out the Belhaven Scottish Ale at dinner and I was not totally on board with it. It's never a good sign when you need someone else to taste the beer because you think it's flat and they tell you that's how it's supposed to taste. 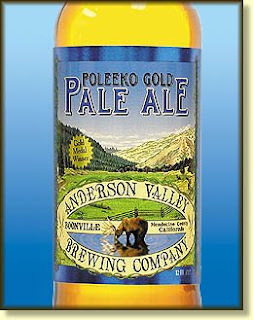 Giving the Ale a second chance I was able to detect light malt accents in this subdued creamy ale. The creaminess really overpowers the other beer elements. The beer was surprisingly refreshing, although it's relatively low 3.9% ABV is a detriment. I rate this a 2.5.